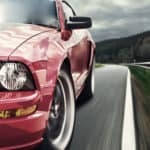 As you can imagine, a bad or failing idle air control valve will cause the engine to act erratically by affecting the idle speed and often times causing the engine to cut out entirely. 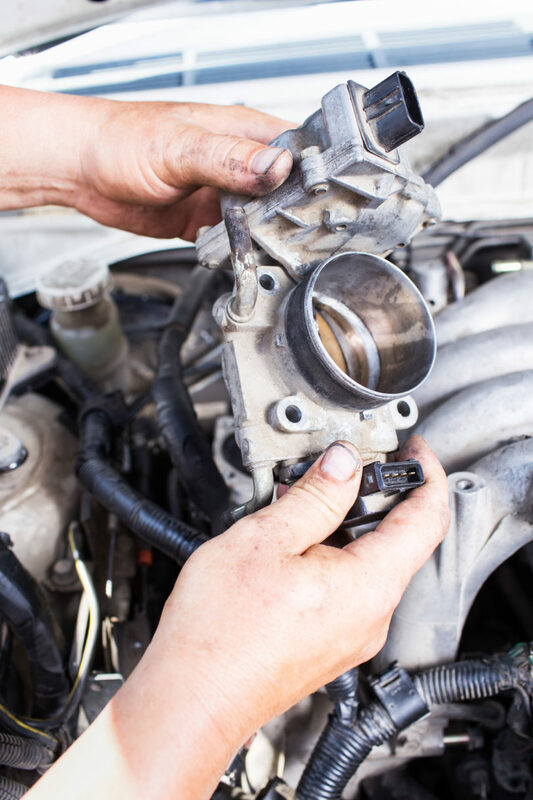 In this article we explain how an idle air control valve (also called an air bypass valve) works and how to diagnose a bad or failing one. How Does An Idle Air Control Valve Work? How do you diagnose a failing Idle Air Control Valve? The Idle Air Control Valve (also known as the IAC) is one of the main components controlled by the engine Electronic Control Unit (ECU). The role of this electro-valve (also called a step motor) is to control the idle speed by bypassing air around the throttle plate using a built-in conduit on the throttle body. There are many different designs on the market, but the most widely used IAC design is the “stepper motor” style. The stepper motor is an electrically operated valve with a tapered pintle that has 125 different “positions”. Position “zero” corresponds to a fully extended position (air bypass closed) while position 125 corresponds to a fully retracted pintle (air bypass 100% open). As you may guess the higher the position the higher the air bypass, thus the higher the idle speed RPM. The ECU commands the IAC by supplying battery voltage to either of its two internal motor windings, one of them extends the pintle, the other retracts it. Controlling the idle speed is a dynamic process, the ECU is constantly adjusting it depending on engine conditions, for example, each time the A/C compressor turns on the ECU opens the air bypass to prevent an RPM drop. Due to its crucial role expect the CEL lit after a few driving cycles with a damaged IAC. A bad Idle Air Control Valve can make the engine hesitate when a load is activated like the A/C compressor or the power steering. Depending on the emergency mode programmed on the ECU, you may experience intermittent engine stall. This is due to the inability of the ECU to compensate deceleration and other driving conditions affecting the idle speed. A professional grade automotive scanner with live data graphing capabilities is not essential for testing the IAC but certainly would speed up the process no matter what type of actuator is installed. > Driving cycle: disconnect your OBD2 code reader and start the engine, this state is commonly known as KOER (Key On Engine Running). If the Check Engine Light turns on then stop the engine and continue with the diagnostic. If the Check Engine Light remains off then drive the vehicle for 5 to 10 minutes. If the light remains off you may have an intermittent problem. If the light lit during your driving cycle then continue with the diagnostic process. IMPORTANT: The following tests assume the IAC harness is already unplugged, refer to “how to replace” section if you have any doubt. > Actuator wiring: perform a meticulous visual inspection of IAC wiring. Look for burnt, damaged, corroded or deteriorated wires. Pay special attention to possible shorts to ground or open circuits produced by faulty insulation. > Actuator harness connector: similar than before, perform an exhaustive visual inspection of IAC connector. Ensure the ignition key is switched off and unplug the IAC harness connector. Look for bent terminal pins, loosely connections, corrosion or any other possible indication of a bad connection. > Actuator condition: since the IAC is in permanent contact with the intake air it usually gets dirty and thus causes idle speed problems. It’s very common to find its pintle covered with carbon, oil residues and grime. The dirt prevents the valve from seating correctly which causes intermittent faults. Clean the IAC pintle using a light solvent and repeat the preliminary test if needed. Recommended tools: digital multimeter (DMM). > Supply voltage: Idle Air Control Valves with stepper motor design use a four-wire design. Turn the ignition switch on (engine off) and look for the corresponding supply voltage (12V). Refer to the appropriate literature to identify the supply lines. > Ground test: enter in KOEO mode (Key On Engine Off) turn the digital multimeter dial to “voltage” test mode and place one probe tip on the IAC harness terminal corresponding to the supply voltage and the other on the terminal that should be the ground. Ideally, the voltage would be the same value as the previous test, if the difference is greater than 10% then you will need to check electrical resistance and continuity of the ground line from the IAC harness all the way down to the ECU. > Idle Air Control Valve live test: using an automotive scanner you can see the IAC in action in real-time. Put the IAC on screen, it usually es expressed in “step counts” or “aperture percentage”. While the engine is in idle turn on the A/C and then watch the IAC value. It the RPM drops before stabilizing that could mean a dirty or faulty IAC. If you notice no IAC reaction it could mean a bad IAC that need immediate replacement. > Idle Air Control Valve functional test: depending on your scan tool, year and model of your car you could have access to the IAC functional test. This test allows you to temporarily set the idle speed. You can set 2000, 3000 RPM and watch the reaction of the IAC. The idle air control valve is usually located on the throttle body, but it's design and exact location will differ from vehicle to vehicle. The following is a generic overview of what to expect when swapping out a faulty idle air control valve. Ensure the ignition switch is off and then disconnect the vehicle battery. Detaching the negative terminal is usually enough. This step may be tricky in some models. Generally speaking, the connector has a plastic tab that you should push down while you pull out the harness. But in many cases, there is a small security clip (sometimes plastic, sometimes metallic) that must be removed first using a suitable screwdriver. Removing the IAC is done by removing the two clamping screws that hold it to the throttle body. Remove the old IAC and then install the new one by reattaching with the throttle body screws. Double check that you’re using the correct part number by comparing to the old control valve. Once you are done, attach the electrical connector to the new idle air control valve (don’t forget security clips) and then reconnect the battery terminal. Using an OBD2 code reader, clear the ECU memory to remove any old codes that may have been stored. Once you are done, drive the vehicle for more than 10 minutes. Try to accelerate as you would normally do.